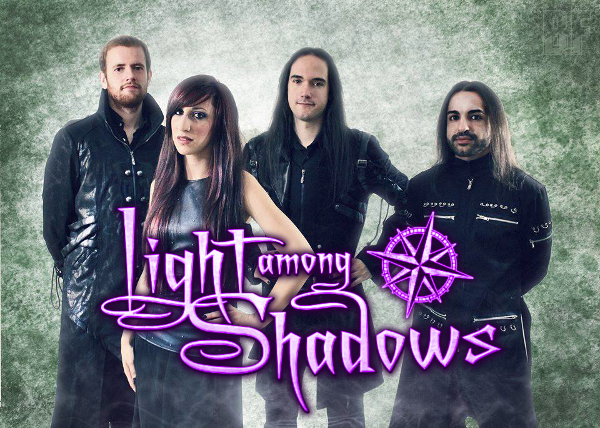 LIGHT AMONG SHADOWS is a female fronted symphonic metal band from Spain, created in late 2010 by the guitar player Adrien Fowl. Their style is a mixture of Gothic-Symphonic Rock with some of the New Progressive metal tendencies, inspiring by fairy tales and horror stories. The band has released two albums so far. Their first album is "At the Gates of Dawn" (2011) and the second album is "Welcome... Back!" (2012). Both albums are sung by a German singer Tatjana Klee. Now they have a new singer María Barragán. She has debuted as a member of the band in their music video "Into The Storm" (below). Currently LIGHT AMONG SHADOWS is working on their new album, which will be released at someday in 2015.